Can you believe it? This will be our last Photo Art Friday for 2012 ... and it's going to be a special one! You've been asked, for this edition of PAF, to link-up one of your very favourite or best pieces of photo-art - an edited photograph that you would perhaps feature on the cover of a photo book showcasing your work, for example. 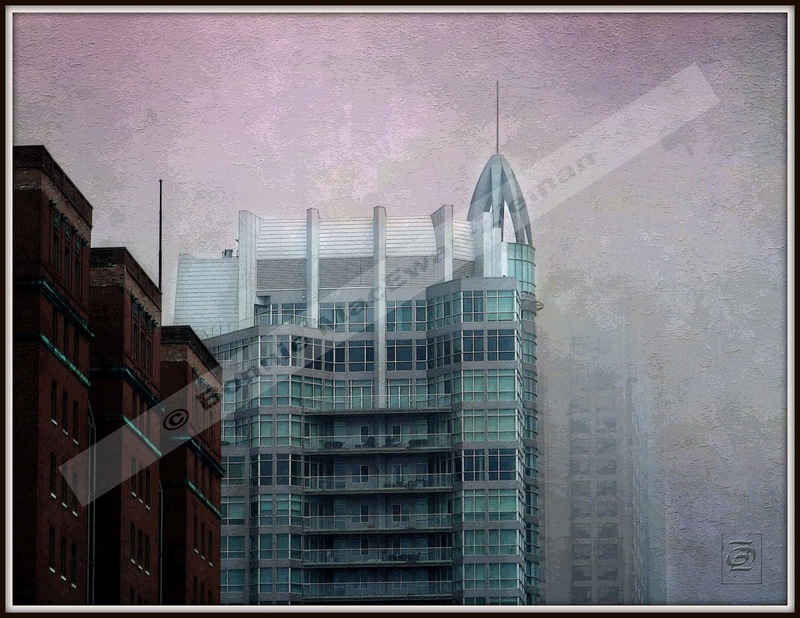 Before you post and then link-up your prize pieces of photo art, please read this post about protecting your digital work. You don't want to walk into a gift store and see your image staring back at you from a greeting card ... unless YOU are the one who made the licensing agreement! I've been busy for the last couple of months making 2013 calendars featuring my photo-art to give as little gifts to friends and family. I'm also in the process of making a couple of coffee-table books to document the work I have done for the year. As I searched through my archives for the images I wanted to feature in my calendars, coffee-table books and for this post, I realized that there is a difference between 'my best' pieces and 'my favourites'. My favourites are not always my best, as I'm sure is the case for you too. Our favourites, while perhaps not our 'best', hold that emotional pull or connection that often only we understand. Anyway, best or favourite, I can't wait to see what you decide to share with us this week. Not necessarily one of my best - but certainly one of my favs. Click on image to enlarge. With the use of one of my Painterly textures this photograph could qualify as one of my best and certainly is one of my favourite pieces of digital photo art for 2012. Photo Art Friday will return on Friday, January 4th, 2013. Life will be very active for most of us between now and then. I'll still be posting during December, so we will connect before the new year. Thank you so much for your support, interest and loyal participation in PAF this year. If I could make it happen, I would throw a party where we could all come together and actually meet and commiserate. I have truly developed a warm affection for you all. If you are thinking of giving yourself Adobe Photoshop Lightroom 4 as a gift and are wondering how best to learn the ins and outs of it, check out my reviews of a few of the courses, books and tutorials currently available. That post can save you some time, money and a load of unnecessary frustration! If you are looking for great textures at a reduced price - all my texture sets are now reduced by 30% when you purchase a minimum of two sets. This special, automatic reduction continues until December 15th. If you like my texture freebies, you will LOVE my for-purchase sets. Why not check them out? Hope you'll be having a lovely December - I'm looking forward to the next Photo Art Friday. Thanks for hosting! Hi Bonnie,- wonderful pieces as always! My favorite of the two, is the last one, with the building! Fantastic! And the texture you have used for this fits perfectly! I haven't been here long yet, but I want to thank you so much for all it's given me during these few weeks! A whole new vista for image-making has opened up... Wishing you a wonderful holiday time, and look forward to seeing more of you and all the rest on the new year! What a wonderful idea to create calendars...I love the images you shared; both of them are gorgeous! I will miss PAF during December but will look forward to more creativity in January. Thanks, as always, for offering this fun prompt every week, Bonnie - it is greatly appreciated and is always one of the highlights of my blog week. Thank you, too, for the free textures! your pictures are just wonderful for a calendar!!! thanks for the textures and the fun I have had with you, so glad I discovered your blog! I have learned a lot, met some artists and loved seeing their art! Have a wonderful holiday Bonnie! I treasure both your art and your generosity and I look forward to lots more creativity in 2013!! Cool calendars. Have a wonderful holiday season! Great work as always! Like the calenders! so true about favourite and best being different. Thank you for the 2 textures I suspect they are going to become favourites. Thank you so much for hosting us every week and coming up with such a variety of themes. Your picture choices are wonderful. The building is magnificent. I am always so impressed with your work. And, your generosity overflows. All that you do for us. Not just prompting us, but sharing ideas, techniques, free textures and thoughtful comments. It has been such a pleasure sharing with you Bonnie. I look forward to another bigger and better year of PAF. We are all growing together ... isn't it fun:) Best Holiday Wishes Bonnie ... see you soon. those calendars are wondrous gifts, Bonnie, as I am sure you know. I am a little sad that I am NOT gifting calendars this year; instead I am using my art and my words held together with much love. your two photos above are just wondrous. I love what you've done with the buildings and the portrait is just mesmerising. your generosity and encouragement are extraordinary gifts and I have appreciated them so very much. I'm looking forward to continued fun and stretching in 2013. I had difficulty choosing one for the year, so I made a new one, Bonnie! It was a slight departure from what I've done before, so it makes me happy. Thank you again for the great opportunities and for the beautiful textures. See you next year! Thanks so much for providing this incredible place to share our digital artistry. It's been a very creative year. Best Wishes to you and yours for 2013! Hi Bonnie - may you have a very Blessed Holiday Season... I will try to return next year. As with you and others, I have very favorites and unique "bests" - but, have just returned from a trip and am gone all weekend, so am not doing too much computer work because of eye strain, also. Had such a wonderful time with PAF - thanks for all your beautiful textures and those I purchased. You have inspired me to gather my photos in one place, LOL, and I will be in the process of a calendar and table book during December hoildays when I am off; if jury duty doesn't interfer too much. Hugs from Alaska. I so appreciate all your hard work. Happy 2013. Bonnie, this is such a wonderful idea with the coffee-table photo books. and thank you for your new textures, they look wonderful! Dear Bonnie, thank you so much for all the work you have put into this year's challenges. Hope you have a great break. What publisher are you using for your books and calenders? Love both of your images Bonnie, both striking and both evoking mood and emotion. And noticing that they both are very linear, one abstractly and the other architecturally. Also, I was wondering if you had ever posted any photos using the textures from your new collection, Abstract Panache....they look so very interesting. 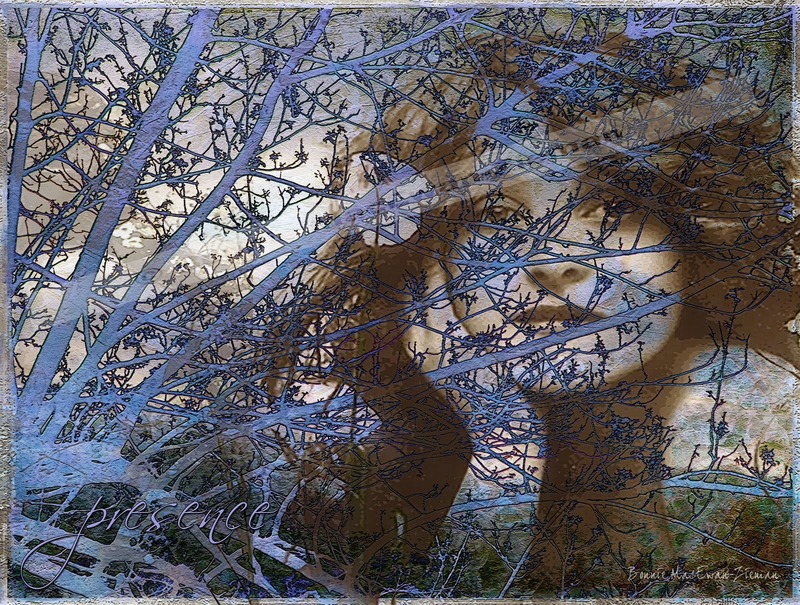 Very interesting ... excellent composition, colors and texture, that beautiful face in the branches emanating poetry. I like your images and texture an thank you for your sweet comment. Have a good time and Happy New Year. We like the image,too.Sometimes we are too critical of our own work,from a technical point of view. I found your site through a friend who plays on Fridays here. As a budding photographer, I was thrilled to know about your challenges and would love to participate. I am now a follower and added your page to my blog. Please let me know how to sign up for Photo Art Friday and any instructions.